An MRI is a machine that is used so that doctors can see details of the inside of the body that an x-ray isn't able to detect. Most MRI machines are closed. This can sometimes be uncomfortable for the person who needs the scan as the space is small and confined. Some people have issues with claustrophobia and aren't able to remain in the tube for long periods of time. An open MRI is an option. The open machine is designed for the comfort of the patient. You will be on a table with the scanner going around the table instead of being in a small tube with the scanner. Since you will be on an open area, you won't be as restricted, making it easier for the doctor to get a clear view of the sections of the body that need to be seen. You won't be in awkward positions while on the table. This makes it easier for you to keep an IV pole beside you if you need medications for the scan and so that the nurse doesn't have to disconnect the tubing before the scan is performed. The open machine design makes it easier for patients of all sizes to easily be accommodated. 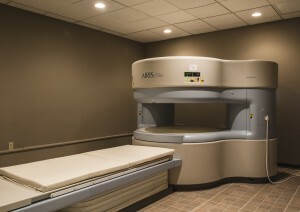 This is a benefit for those who might be overweight and unable to lay comfortably inside a typical scanner. The doctor will be able to get all of the tests completed even on patients who are overweight. This can help diagnose conditions and illnesses that are present in all patients so that they can get the proper treatment needed. Some machines have access to headphones so that patients can listen to music while they are on the table. This can help in making the patient feel comfortable while getting the scan completed. They won't be able to hear the noise of the machine. The open machine is also beneficial for patients who are children. There is usually enough room on the table so that a parent can lay beside the child and keep the child calm through the scan. This can prevent the child from being sedated before being placed in an enclosed tube.